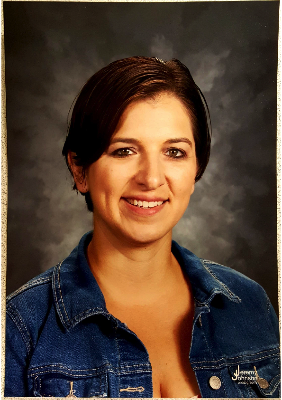 Brandi Kawula is in her eleventh year with Bellevue Public Schools and serves as the Director of Bands at Lewis & Clark Middle School and the 6-12 Instrumental Music Curriculum Coordinator. Mrs. Kawula also coordinates Bellevue Public School's Saturday Band program, which brings 6th grade band students from across the district together for rehearsals and a concert. She student taught under Ann Davis and Rex Barker before receiving her undergraduate degree in Music Education from the University of Nebraska at Kearney in 2004. She went on to receive her Masters in Music Education degree from the University of Nebraska at Omaha in 2007 and is working on her Masters of Science in Education with a focus on Curriculum and Instruction from Peru State College. While at UNK, Mrs. Kuwala was involved in multiple performing ensembles including Wind Ensemble, Symphonic Band, Orchestra, and Flute Choir. She was a proud member of UNK's Marching Band where she was a drum major, color guard section leader, flute section leader, and feature twirler. She was also an active member of Tau Beta Sigma where she served as Secretary and helped rebuild UNK's Theta Mu chapter. Mrs. Kawula has enjoyed being a baton twirler since the age of 4 and a coach from 1994-2015 where her students competed on a local, national, and world level. In 2006, she became a judge for the National Baton Twirling Association. She has worked with color guards from across Nebraska including Kearney High School and Millard South High School and taught at UNK's Sounds in the Summer camp. She has also performed with the Blair Community Band and the Papillion Area Concert Band. Mrs. Kawula is a proud recipient of the 2010 Jack R. Snider Young Band Director's Award and her band was featured during NSBA's 2009 and 2015 Spring Conventions. Mrs. Kawula is a member of the Nebraska State Bandmasters Association where she serves as the Membership Chair, Nebraska Music Educator's Association, and Bellevue Education Association. Mrs. Kawula has the love and support of her husband, John, who is an English teacher at Lewis & Clark Middle School, and their four children, stepsons Johnathan and David, sophomores at Papillion-La Vista High School, son, Gabriel, 8, and daughter, Isabella, 6.